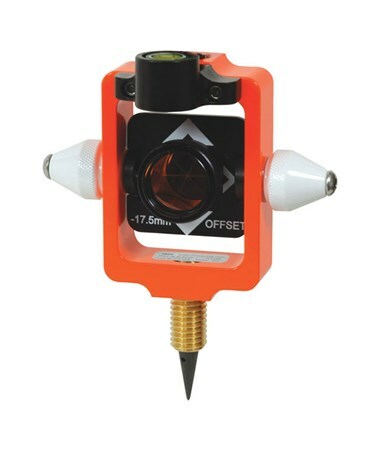 The Seco Nodal Point Stakeout Mini Prism With Site Cones features a nodal 0/-17.5 millimeter offset, which is usually associated with short distance measurements. 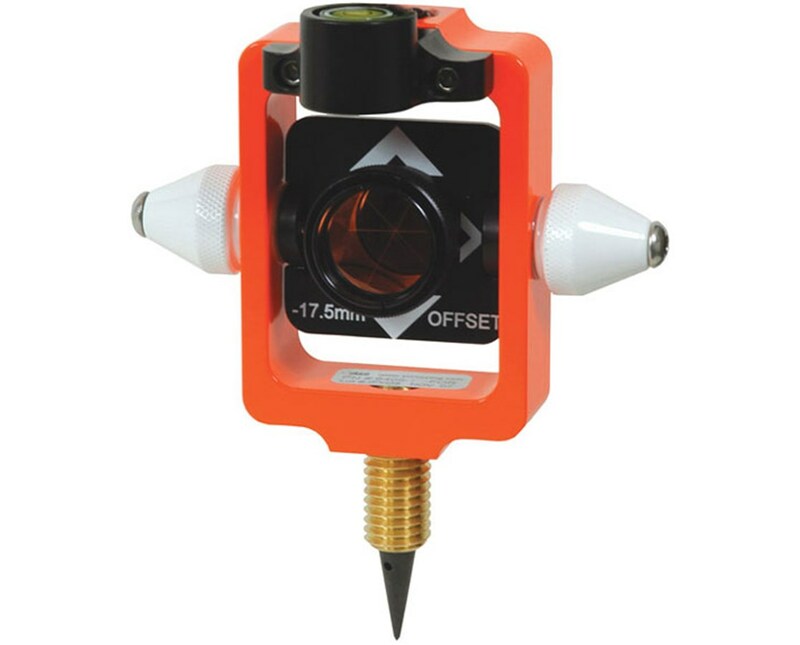 White site cones are on both sides to improve vertical angle pointing or help centering crosshairs from survey instruments. In addition, these site cones work as lock knobs for the tilting-axis. A 40-minute leveling vial can be found in front and at the top of this mini prism and it is adjusted easily. 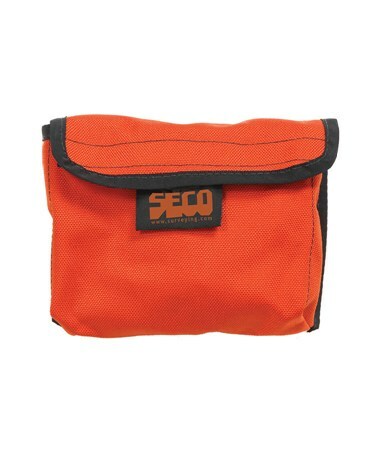 The Seco Nodal Point Stakeout Mini Prism With Site Cones maximizes survey professionals' vision in all lighting conditions, has a 5/8 x 11-inch thread on the top and bottom, and comes with a carrying bag.